or the world's largest and wealthiest corporations? "Unlike the private-sector legislative framework painstakingly constructed thanks to the Western labor movement, members of the new proletariat lack even the right to confront their employers. From their European or North American headquarters, multinational corporations aren't content simply exploiting the competition between workers. They also take advantage of legal borders to skirt their responsibilities. He who pays issues the orders? Perhaps, but those doing the ordering now wash their hands of the acts committed in their name around the planet. 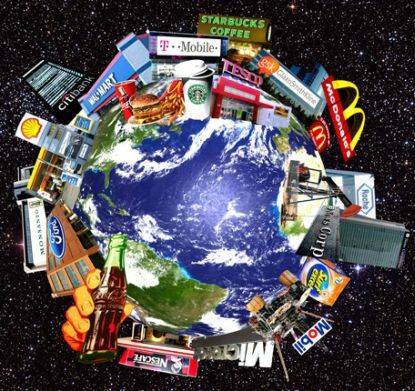 … We can't simply accept that companies which govern the lives of hundreds of millions of people remain above the law." A factory goes up in smoke, children are employed as laborers, a unionist is murdered, a toxic spill poisons workers, residents and the environment: Two centuries after the dawn of the industrial revolution, the symptoms of uncontrolled liberalism are showing a savage permanence. While in Europe, the offshoring of certain activities and the successful social and environmental struggles of the 20th century have created, for many, an illusion of affluence with few side effects, in most countries the destruction of nature, exploitation, violence and danger remain at the heart of how wealth is produced. Violations of essential rights are daily realities for our factories, our plantations and the "off shore" workers in the south of the planet. Unlike the private-sector legislative framework painstakingly constructed thanks to the Western labor movement, members of the new proletariat lack even the right to confront their employers. From their European or North American headquarters, multinational corporations aren't content simply exploiting the competition between workers. They also take advantage of legal borders to skirt their responsibilities. He who pays issues the orders? Perhaps, but those doing the ordering now wash their hands of the acts committed in their name around the planet. For at least two decades the United Nations has discussed this aberration, in which a few hundred private enterprises have dominated global trade and have operated with few obstacles on a planet governed by 190 legislatures. 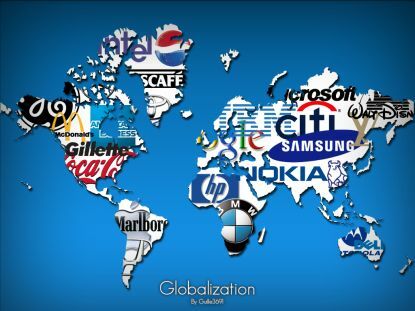 To prevent an ad hoc international convention, these corporations and their countries of origin have made many promises. The first was self-regulation at the 2005 Global Compact organized by former U.N. Secretary General Kofi Annan. Later, under the pressure of a U.N. draft resolution put forward by nations of the South, the West defended a middle way: the adoption at the U.N. Human Rights Council (HRC) of common "Guiding Principles" put forward to inspire national legislation a sense of a shared responsibility among states, parent companies and their subsidiaries or affiliates. That was in 2011. As ever, after having rejected a global solution allegedly for reasons of subsidiarity [governing authority should reside at the lowest feasible level], the northern states are now reluctant to legislate at the national level, citing risks to their competitiveness - a well-worn but always effective hypocrisy. With no illusions, Southern nations on the Human Rights Council have put the issue back on the agenda and are working on a new draft for a binding international convention. The popular [Swiss] federal initiative launched yesterday in Bern by 60 NGOs is part of the same counter-attack. By forcing a national debate on regulating multinational corporations, it puts added pressure to the debate at the United Nations. Of course, the battle will be a difficult one. The last election showed that the Swiss population is more than amenable to arguments about the "attractiveness" of the Swiss economy. But the NGOs aren't without assets. Thus the outline sketched by France, where lawmakers anchored some of these same principles into law at the end of March. The activists will also be able to rely on a certain Swiss legal notion that stressed equality before the law. The slow pace of direct democracy could also be an advantage, because this federal initiative will be observed with great interest from abroad. If enough people sign on to this in Switzerland, a bastion of multinational commerce, it could have a significant ripple effect on other countries hesitant to take the first step. It is certainly a faint hope, but it deserves to be pursued. We can't simply accept that companies which govern the lives of hundreds of millions of people remain above the law.